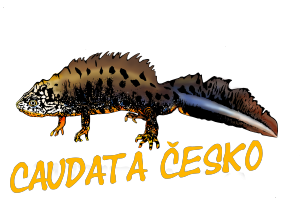 We have been on the largest reptiles and amphibian trading exhibition in Europe – Terraristika Hamm. 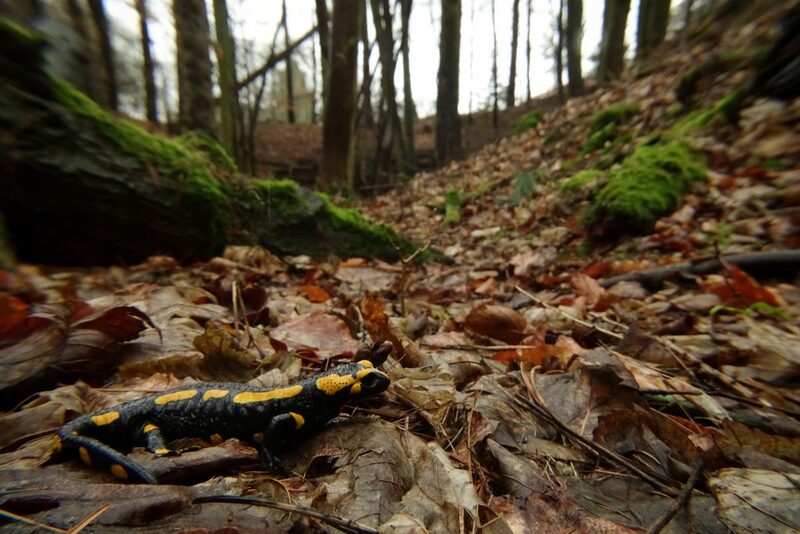 On the way back to Czech Republic, we have decided to stop by in Solling for some salamander herping. 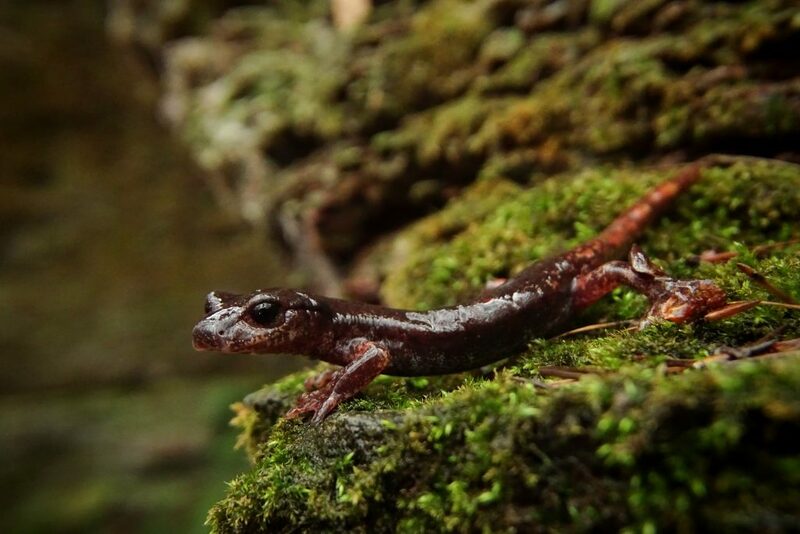 We had also an information, that there should be some non native population of the cave salamanders. 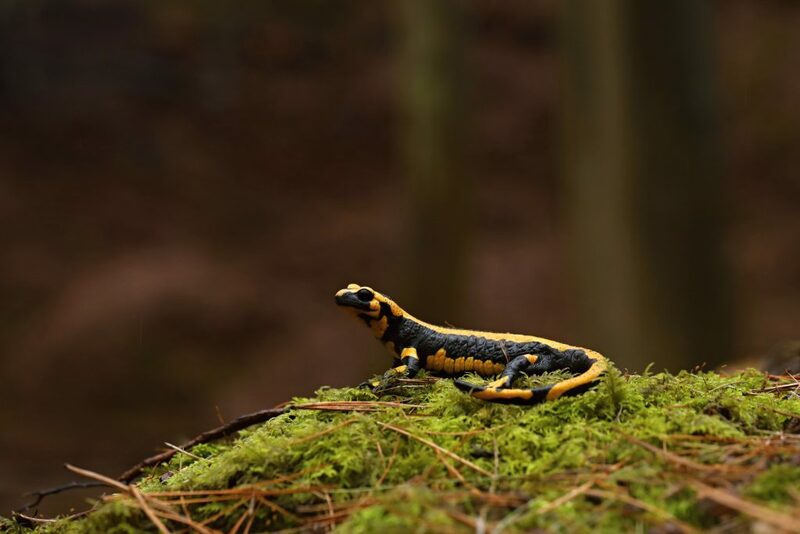 It was raining the whole day, so we were looking forward to numerous salamander observations, although we were also worried because the strong wind was blowing, so the weather was not pleasant at all. 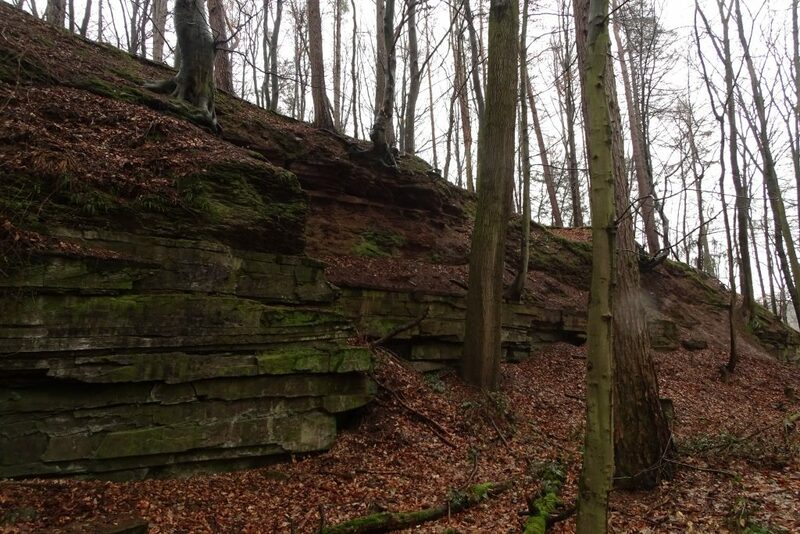 But when we arrived to our destination, the rain stopped and the wind speed also decreased. 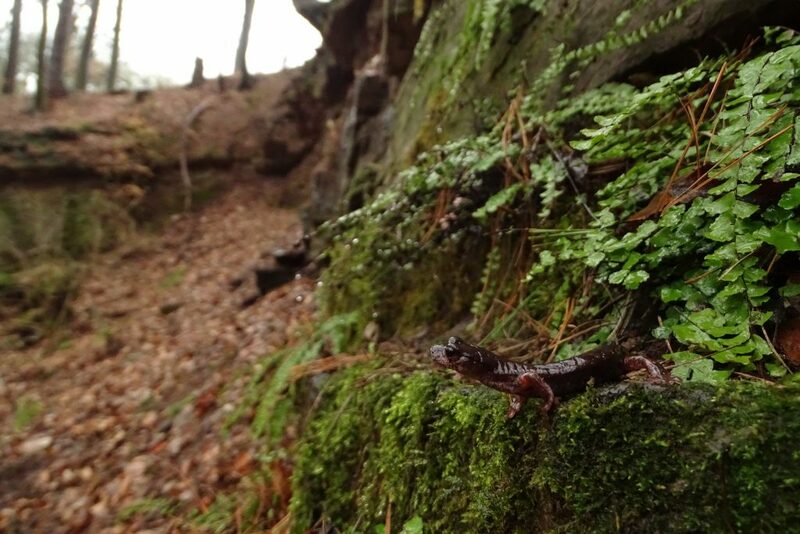 We have selected an old slate stone quarry in the forest, which was the area, where the abovementioned cave salamanders should be present. 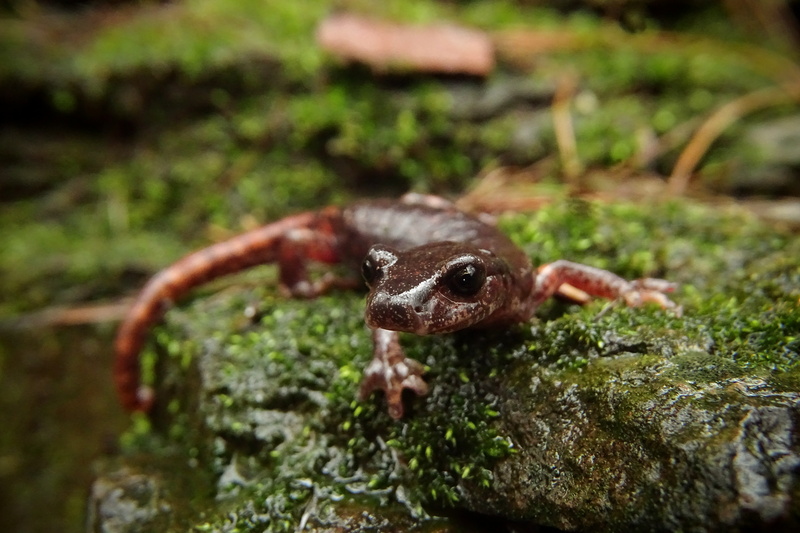 Those tailed amphibians are originally from Italy and they were introduced to this locality approximately 100 years ago (according-to our information). 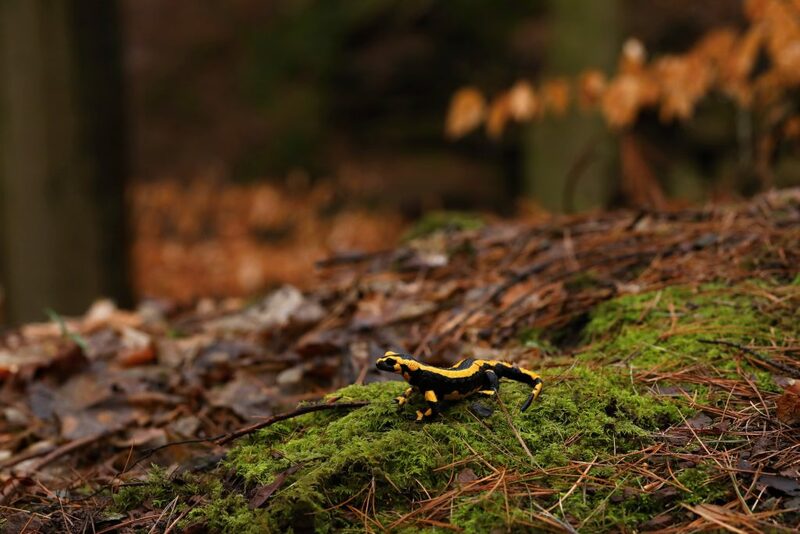 Nowdays, they represent a vital population of maybe houndreds of individuals. 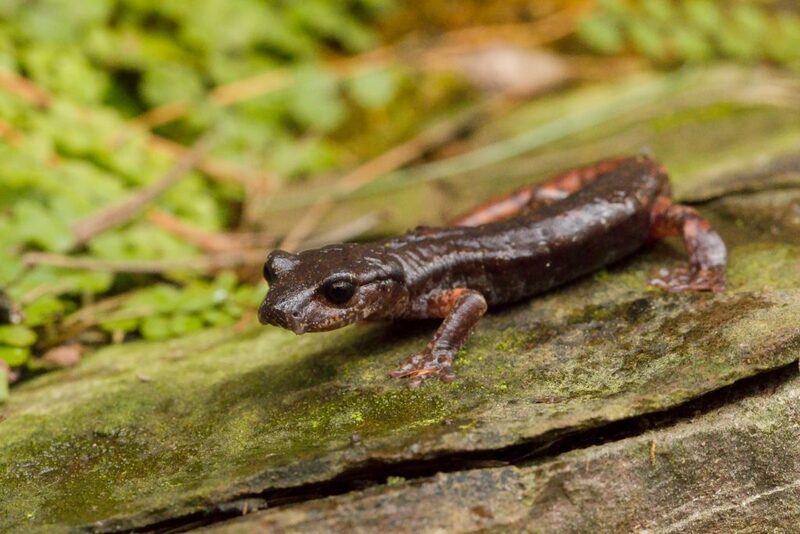 It took about half a hour until we have found our first salamander. 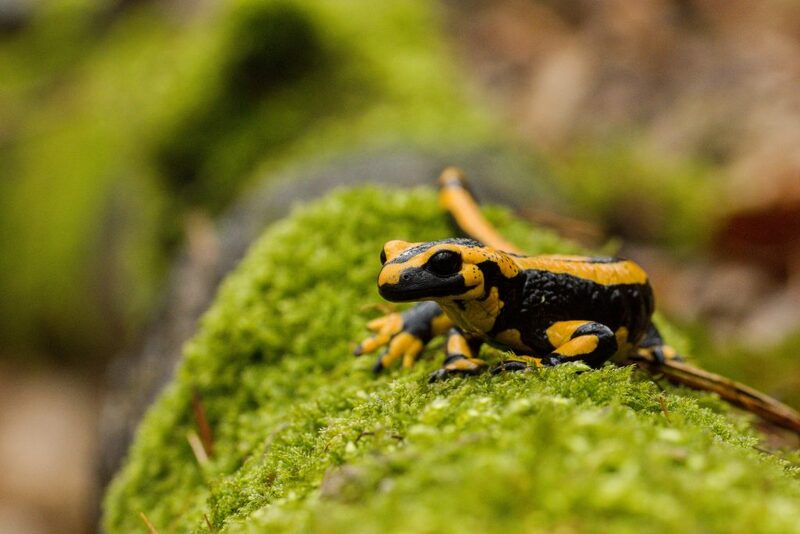 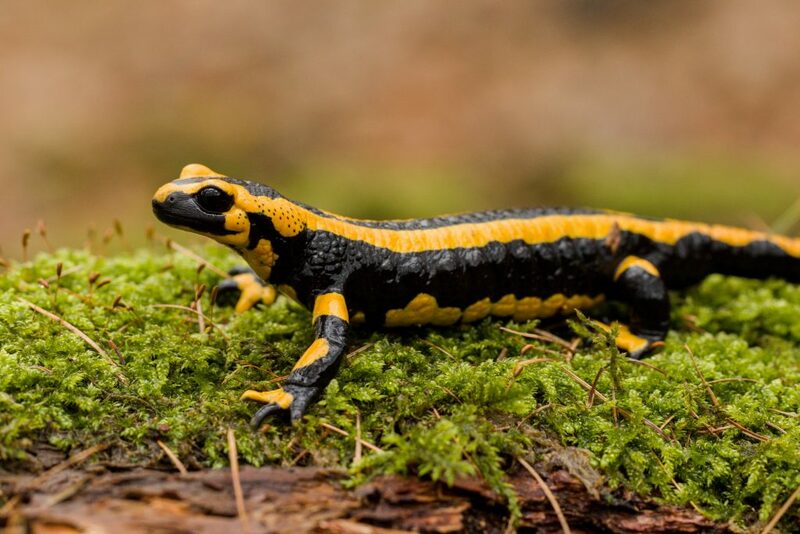 In Solling, there is a “striped” subspecies of the fire salamander (Salamandra salamandra terrestis), which is characterized by two stripes of prolonged spots alongside the spine, which sometimes merge into long continuous stripes from rostrum to the tail. 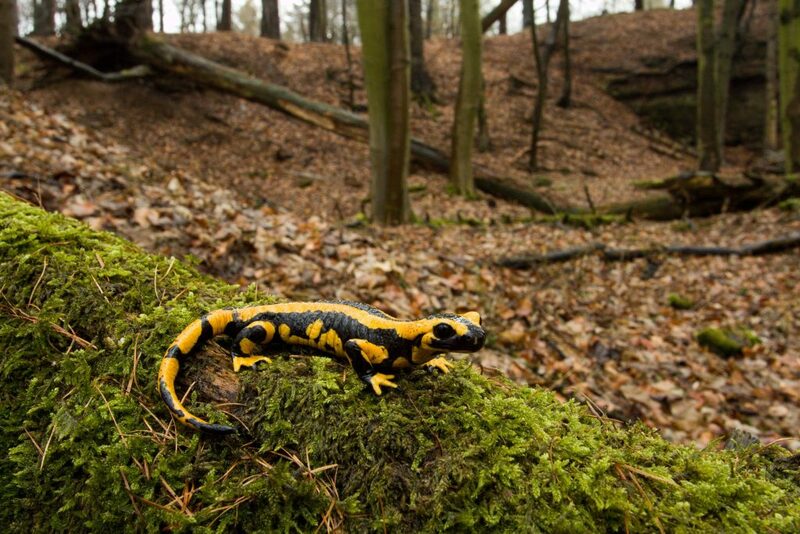 There are also rare orange and red color forms of those salamanders, but we were not lucky enough to find them. 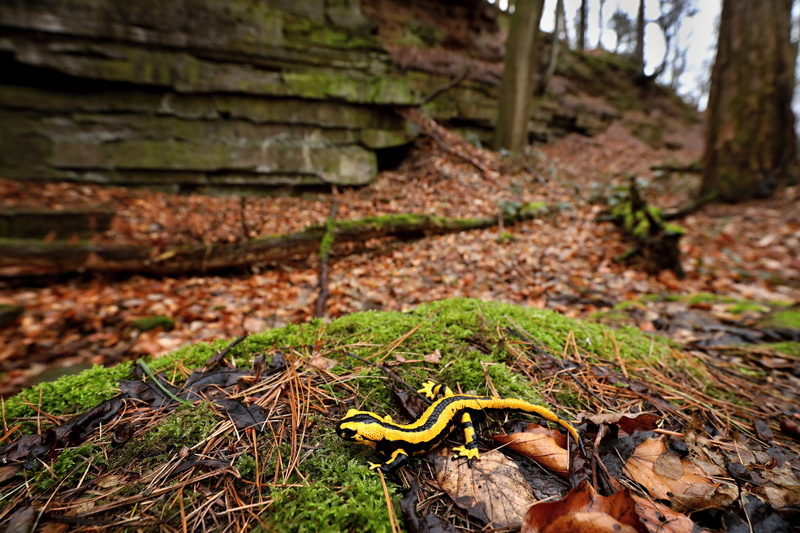 While Dan and Vojta competed who will find more salamanders (I think that Vojta was the winner in the end), I focused on the stone walls. 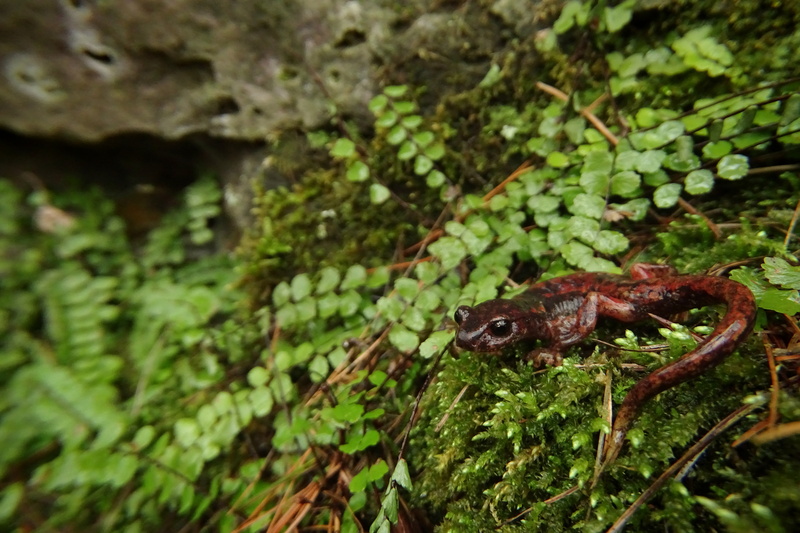 After a while I have found a young alpine newt (Ichthyosaura alpestris). 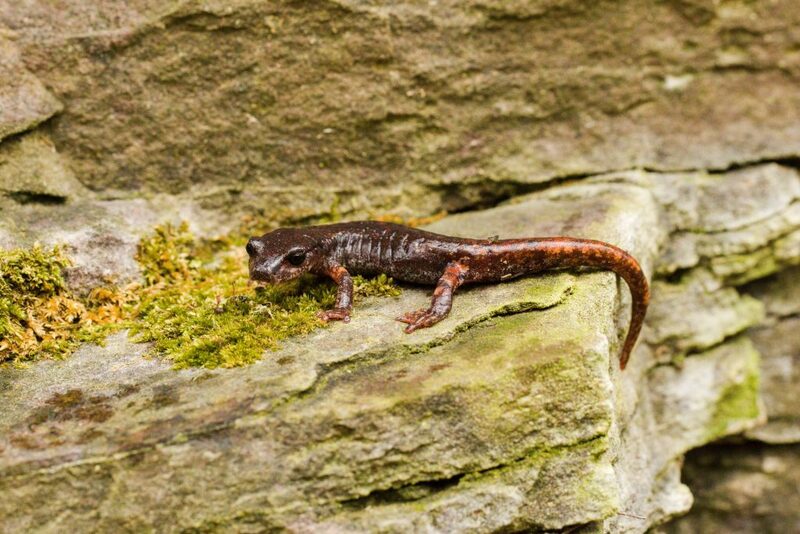 I slowly continued in searching the stone wall, thoroughly exploring every crack between the stones, until I found my first Italian cave salamander (Speleomantes italicus). It was a young male, which can be distinguished according-to the growths on the chin. 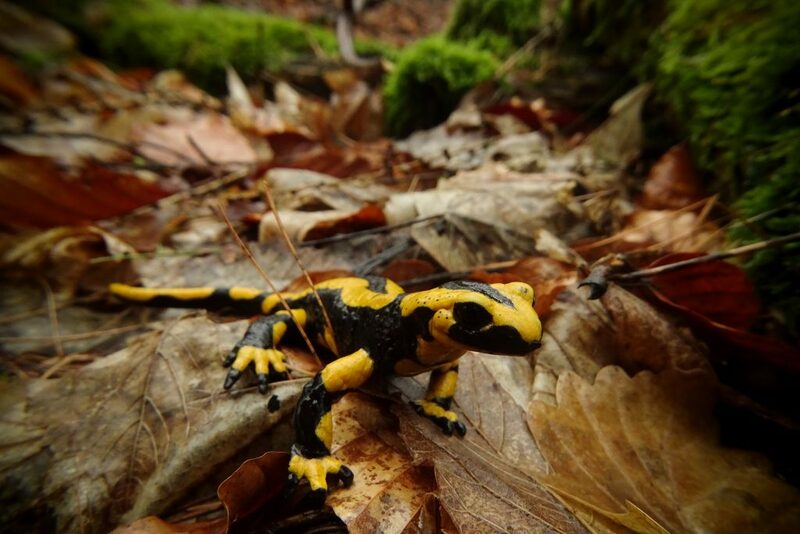 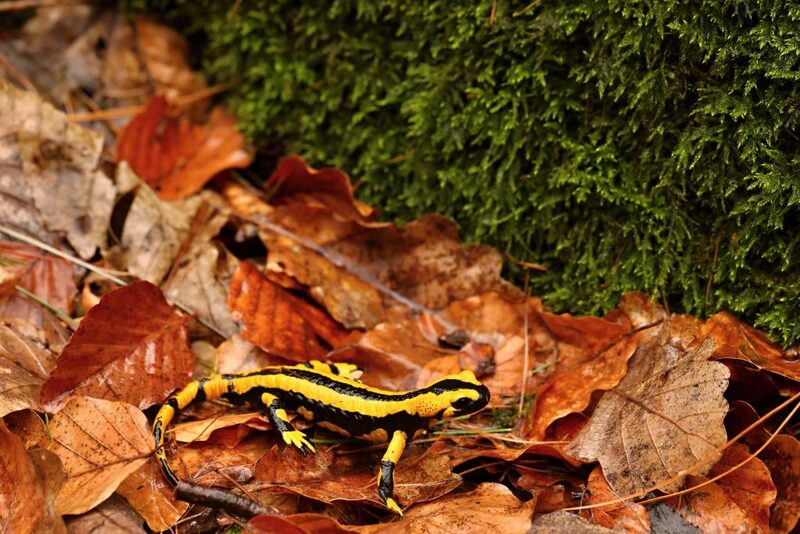 In total, we have found around 10 cave salamanders and 17 fire salamanders.